We've had an amazing couple of days at Retail Week Tech. 2018. 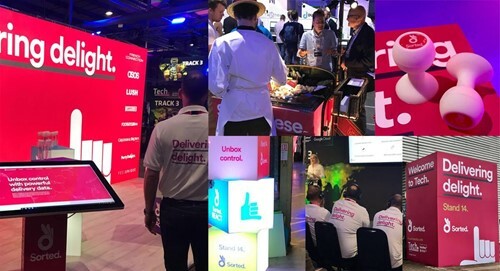 Our giant pink stand was crowded with people throughout the event and our branding was absolutely the talk of Tech (even in the toilets…). There was Sorted pink everywhere (no really, everywhere). From our giant pink signs, down to our pink socks and shoelaces - there’s no way you could have missed us. 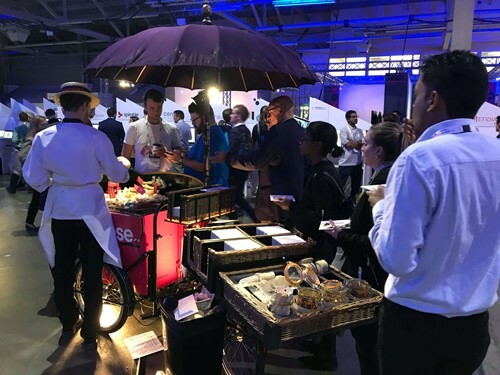 Our pink cheese trike offered delegates a selection of our favourite fromage, with the perfect cracker and chutney accompaniments which all went down a treat. The buzz of excitement at the stand following the launch of our new product, REACT, was amazing. 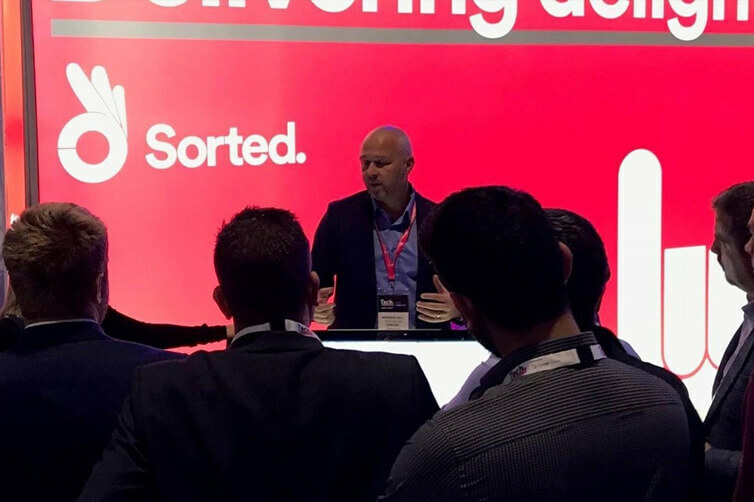 Our sales team were dishing out demos of the new insight and tracking tool on giant touchscreens and, at some points, we had a queue of people waiting to find out more about who we are and what we do. We were also selected by Georgie Barrat (host of The Gadget Show) for her 'Tech. 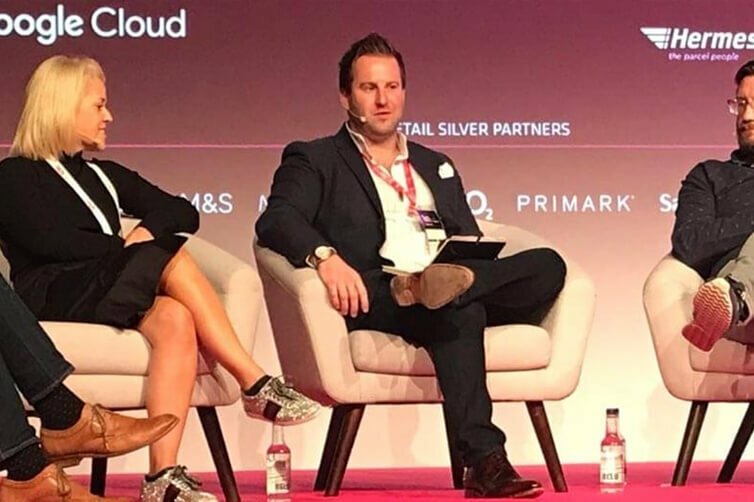 tours', which showcased the most exciting and innovative companies and technologies that she thought would have the biggest impact on retail over the next few years. No biggie. Our CEO & Founder, David and Sales Director, Andy Hill, had some great conversations at the VIP roundtable lunch. 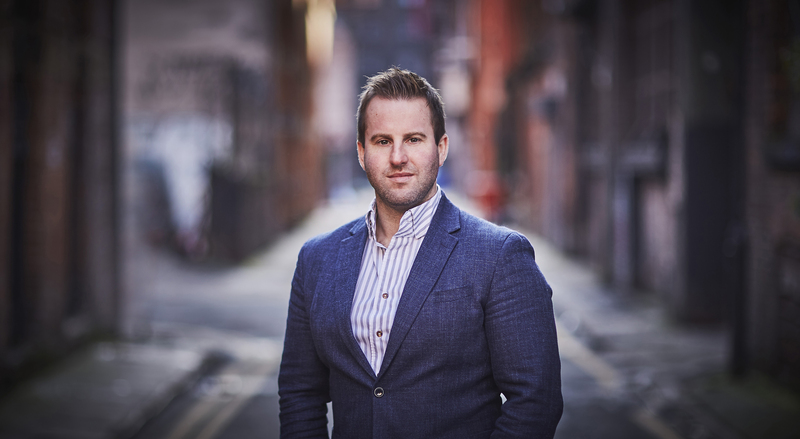 They discussed and debated what it really means to truly nail the execution of ecommerce. 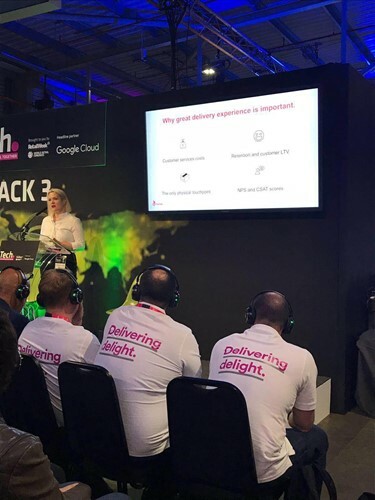 On top of this, there was standing room only at the awesome talk from our very own Ruta (Head of Product Innovation) on one of the event's silent stages. Her session on machine learning and automation was extremely popular, with not enough headphones to go around! Here, she covered Donald Trump, Manchester rain and of course, turning delivery into a delight. On day 2, we kicked off an exciting day with 'Wake up with the retailers', moderated by David. The main stage was packed out for this panel session on what retailers must do to survive in the year ahead. Many more great conversations were had by our sales team throughout the day. 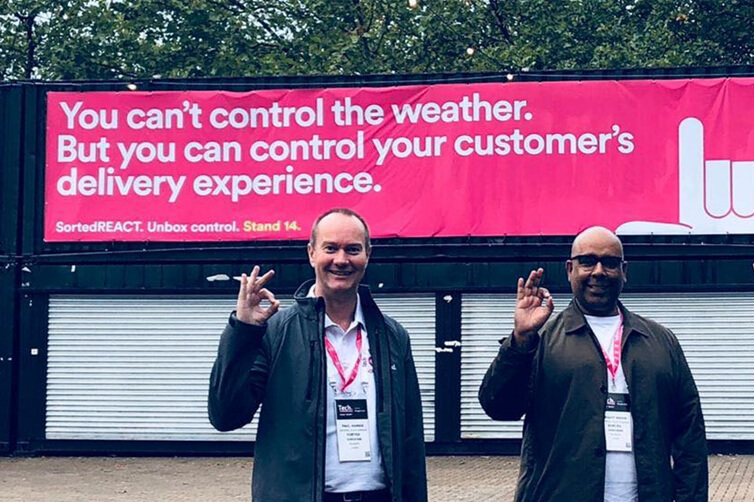 We spoke to an array of companies as well as gaining new prospects - mainly about SortedREACT but also about how the new product fits so nicely into our family of SaaS products - giving full control over the full delivery ecosystem. Finally, the Tech. Awards. We were shortlisted for The DP World London Gateway Supply Chain Disruptor and Supply Chain Technology Breakthrough. Even though we didn't take home the trophy this year, it's an honour to have been shortlisted - especially up against some amazing brands. In the words of DG, "We may not have won an award, but we definitely won the event". Overall, the event was inspirational and a huge success. We were blown away by the leading visionaries in retail tech chosen to take part in the Tech. sprint. This 24-hour hackathon tackled the pertinent topic of sustainability. Their solutions highlighted how technology can drive retailers' green initiatives and deliver a future that meets customer expectations with minimal impact on the planet. 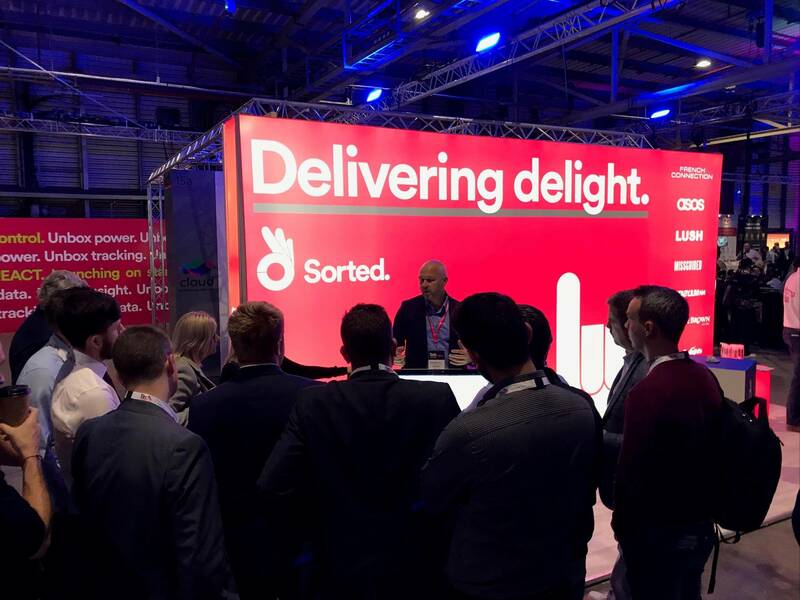 Aside from this, the startup zone provided retailers with a platform to find that next innovation, while giving a number of really exciting startups the chance to cause a stir in their industry. All in all, the programme was packed full of some of the best brains in the industry. It really was a treat to play such a big, pink part of such a meeting of minds (that's cheesy, but you get the picture).